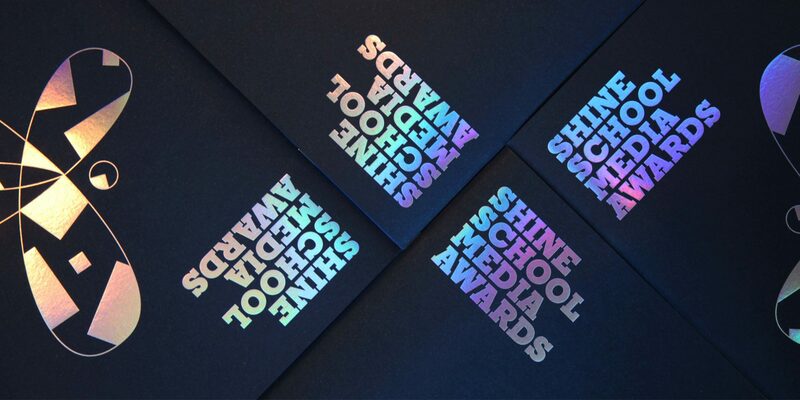 These three awards recognise excellence in the design of a cover and/or homepage of an online magazine or website. Judges will be looking at the design of this project opener, assessing creativity, immediacy and innovation in the design and presentation. On a granular level this will then include easily digestible information about content, details which create ‘reader appeal’ and an incentive to delve deeper. This award recognises excellence in illustration and artwork. The judges will be looking for and assessing artistic merit, asking themselves how well a piece of creative art tells a story, how well the finished piece is used in the context of the feature or article, its quality and how well it is captioned or explained. The judges will assess whether there is evidence that copyright issues have been understood. Credit will be given for originality. This award recognises excellence in the overall design of the editorial product cover and/or home page of an online magazine or website. Judges will be looking at the visual appeal of the entry, the incentive to read, choice and use of typefaces, use of illustrations, innovation and creative flair. Not an illustration or piece of art, a cartoon is a different beast. This award recognises the talent of wit, observation and irreverence in a drawing. Previous successful entries have been both hand-drawn and computer art. So the only limit here is your imagination. Judges are looking for technical ability, visual appeal and a striking individual style. This award recognises excellence in the overall standards of the content. The judges will be assessing the range, choice and balance of content, the standard of writing and illustrations, layout and design, the balance of content through the publication and the use of headings and illustrations. Appropriate audience focus will also be considered. Our award for Best Marketing Strategy is awarded to the team who show flair in marketing their magazine, newspaper, website or podcast to their desired audience. The strategy should include how the project appeals to people; how it is distributed; how it is priced (if relevant) and if it includes any promotional features or clever ways of enticing the audience to return or subscribe. This award recognises initiatives to connect schools with their communities, giving serious consideration to the local and wider environment. Programs this award would recognise may involve the promotional activities of the school in the local area, engaging with the population and launching initiatives which seek to benefit the wider community. Central to this award is an understanding of environmental issues, for instance addressing the production of the publication and the life-cycle of newspapers and magazines. These issues could be addressed by ‘walking the walk’ yourselves – with the choice of paper stock or ensuring it can be conveniently recycled – or publicising local or environmental issues as the central theme of your project. Judges will be asking whether clear objectives were set at the outset, if the initiative has been promoted within your publication and whether in doing so, the community has been positively affected and overall editorial content enhanced. The judges in this category are looking for originality, spontaneity and composition. Technical ability, the quality of an image from a ‘file size’ perspective and an understanding of the proper use of a camera helps enormously with these but can be a secondary consideration to true talent and a good eye. This award recognises excellence in creative, incisive, distinctive writing. Judges will be looking for choice of topic in the context of the editorial product, how well the introduction captures attention, how well the theme is developed and concluded, the readability of the article and use of language and words. Under this category will be three additional awards given at the judges’ discretion in the topic areas of Politics (or current affairs), Sports, and Lifestyle. Every Shine project needs a great editor, a team leader who has a clear vision for the publication or website. This award recognises a special talent in sourcing the best material for the project, ensuring a consistency, readability and high quality throughout. An editor always needs to be aware of the (often scant) resources at their disposal and how to make the most of them. Judges will be looking for an editor who lead by example, encouraged their team bringing out the best in their fellow pupils and delivered a singular publication with its own voice. This pupil-nominated award recognises one key teacher who made all the difference in their Shine project. Judges will be looking for a considered entry from students (either one or as a collective) explaining the huge impact that teacher had on their website, newspaper, magazine or podcast. In this award category the judges will be looking for a pupil who has shown outstanding qualities of leadership in the production of a content-based communication. The winner will have demonstrated a good understanding of the elements which go to making up a good newspaper, magazine or website. Additionally they will have worked well in a team-based project; and shown evidence of understanding the audience for their product. In essence, providing ‘what readers want’. We are always looking for new ways students are communicating with their schools and wider community and have had a terrific wave of support for this new award. A school podcast should be the audio equivalent of a magazine – newsy, topic-driven and engaging. As with all Shine awards this should be student led, though we appreciate teacher support may be essential technically. The podcast could be a excerpt from a school radio programme, or just a recording of students discussing a single issue or variety of topics that is a free download which students can access. The recording should be a one-off programme around 15-30 minutes long and submitted as a MP3 or upload to a free service such as SoundCloud or YouTube. Our judges appreciate that to devise and build a completely custom website for a school project is almost certainly impractical. That said, in recent years we have had very successful entries which have used free template services like WordPress. With a carefully chosen theme, these sites have then been adapted to suit the style or topic of the project with masthead, clear navigation, punchy typography and an intelligent use of colour. However don’t forget that content is king. Much as with our print entries, judges will be looking for compelling stories, strong student voices, great photography and high editorial standards. Judges in this category are looking for a finished piece with vision and an irresistible desire to pick up the magazine again and again. The best kind of magazine is one with great content mixed with modern art direction. As a result judges will be looking for an understanding of this both in vision across the publication and its detail. Primarily the magazine must understand its audience and tailor the writing and layout to them, understanding the myriad other media they are consuming – and find a way to stand out. A distinctive voice, great reporting and a front page full of issues and interest. These are the base elements of a great newspaper and the starting points for our judges in this category. Our judges always look for an understanding of audience (as in the magazine category above) but a newspaper needs to go even further, understanding a balance of national, local and political interest. Of particular interest will be the mix of crisp, short reporting and feature writing – as well as the use of photography and the use of a great cartoon. In addition to these categories, the judging panel will nominate an overall winner to receive the Harrison Cup to hold for one year. The Harrison Cup is awarded to a school that the judges consider ‘that special something’, bringing a fantastic level of inspiration, innovation or professionalism to Shine.